HAMILTON, Bermuda--(BUSINESS WIRE)--Argo Group International Holdings, Ltd. (NASDAQ: AGII), an international underwriter of specialty insurance and reinsurance products, today announced it has entered into an agreement to acquire Ariel Re, a global underwriter of insurance and reinsurance business for approximately $235 million cash. The acquisition, which is expected to be complete during the first quarter of 2017, is subject to relevant regulatory approvals. 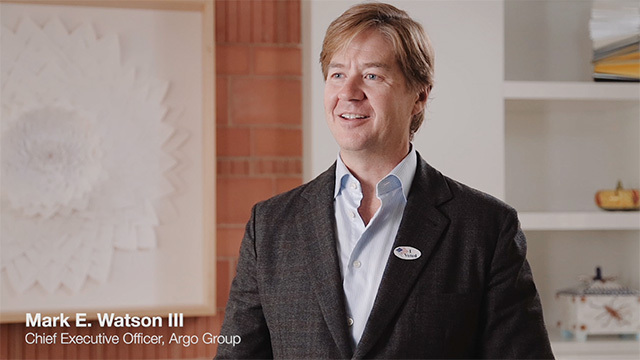 “Ariel Re is a terrific fit for Argo Group - operationally and culturally,” says Argo Group CEO Mark E. Watson III. “We remain focused on delivering enhanced shareholder value. This transaction enables us to build upon the successes realized individually by Argo Group and Ariel Re, utilizing our combined strength to deploy capital in selected areas to produce maximum return and continued growth. “Under the leadership of Jose A. Hernandez, head of Argo Group’s International Business, the combination of Ariel Re and Argo Re will result in a market-leading business and will make a meaningful and immediate contribution to earnings and return on equity. “This acquisition is part of Argo Group’s strategic initiative to build scale in its London- and Bermuda-based platforms by adding complementary lines of specialty business. After the acquisition, Argo Group will have a well-balanced portfolio mix of approximately 88 percent insurance and 12 percent reinsurance,” adds Watson. This transaction provides Argo Group with added diversification, which improves the company’s ability to manage through changing market cycles. It also adds new capabilities that can be leveraged throughout the entire organization, including Ariel Re’s unique modeling and risk analysis tools, which will enhance Argo’s already robust underwriting analytics. “Ariel Re is a group of proven insurance experts who rely on deep domain expertise, rigorous research and development, and innovative thinking - values and capabilities that align with those of Argo Group,” says Hernandez. Ariel Re is jointly owned by Banco BTG Pactual S.A. and the Abu Dhabi Investment Council and underwrites a global portfolio of insurance and reinsurance business through Lloyd’s Syndicate 1910. Ariel Re’s book of business is well diversified by distribution, regional exposure and peril. The company has achieved superior returns by sourcing low-frequency/higher-severity, high-margin business. Argo Group’s financial advisor in connection with the transaction is Aon Securities. Its legal counsel is Willkie Farr & Gallagher LLP. Argo Group management will conduct a special investor conference call to discuss the recent agreement to acquire Ariel Re. Company management will conduct this call starting at 8:30 a.m. ET on Monday, Nov. 14, 2016. A live webcast of the conference call can be accessed by visiting http://services.choruscall.com/links/agii161114.html. Participants inside the U.S. can access the call by phone by dialing 877-291-5203. Callers dialing from outside the U.S. can access the call by dialing 412-902-6610. Please ask the operator to be connected to the Argo Group conference call. For those unable to attend the live conference, Argo Group will post a webcast replay of the call on its investor relations website, or at the following link: https://services.choruscall.com/ccforms/replay.html. In addition, a telephone replay of the call will be available through Nov. 21, 2016, to callers from inside the U.S. by dialing 877-344-7529 (conference #10096859). Callers dialing from outside the U.S. can access the telephone replay by dialing 412-317-0088 (conference #10096859). Argo Group International Holdings, Ltd. (NASDAQ: AGII) is an international underwriter of specialty insurance and reinsurance products in the property and casualty market. Argo Group offers a full line of products and services designed to meet the unique coverage and claims handling needs of businesses in four primary segments: Excess & Surplus Lines, Commercial Specialty, International Specialty and Syndicate 1200. Argo Group's insurance subsidiaries are A. M. Best-rated 'A' (Excellent) (fourth highest rating out of 16 rating classifications) with a stable outlook, and Argo's U.S. insurance subsidiaries are Standard and Poor's-rated 'A-' (Strong) with a stable outlook. More information on Argo Group and its subsidiaries is available at www.argolimited.com. Ariel Re is a (re)insurance company based in Bermuda that underwrites a global portfolio of insurance and reinsurance business through offices in London, Bermuda, Atlanta and Kansas City via Lloyd’s Syndicate 1910, which is rated ‘A’ by A.M. Best and ‘A+’ by Standard & Poor’s. 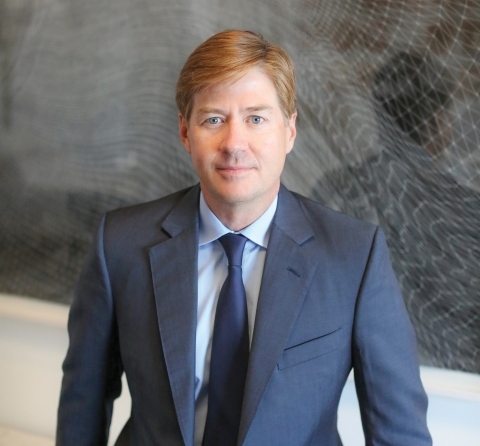 Ariel Re was established by Don Kramer with a consortium of private equity sponsors, which included Blackstone, Thomas H. Lee and Oak Hill. It is currently jointly owned by Banco BTG Pactual S.A. and the Abu Dhabi Investment Council. Ariel Re is an industry leader in the (re)insurance marketplace known for its state-of-the-art proprietary pricing and portfolio management system, deep industry expertise, innovative approach, and intense focus on customers. For more information, visit www.arielre.com. This press release may include forward-looking statements, both with respect to Argo Group and its industry, that reflect our current views with respect to future events and financial performance. These statements are made pursuant to the safe harbor provisions of the Private Securities Litigation Reform Act of 1995. Forward-looking statements include all statements that do not relate solely to historical or current facts, and can be identified by the use of words such as “expect,” “intend,” “plan,” “believe,” “do not believe,” “aim,” “project,” “anticipate,” “seek,” “will,” “likely,” “assume,” “estimate,” “may,” “continue,” “guidance,” “objective,” “outlook,” “trends,” “future,” “could,” “would,” “should,” “target,” “on track” and similar expressions of a future or forward-looking nature. All forward-looking statements address matters that involve risks and uncertainties, many of which are beyond Argo Group's control. Accordingly, there are or will be important factors that could cause actual results to differ materially from those indicated in such statements and, therefore, you should not place undue reliance on any such statements. We believe that these factors include, but are not limited to, the following: 1) unpredictability and severity of catastrophic events; 2) rating agency actions; 3) adequacy of our risk management and loss limitation methods; 4) cyclicality of demand and pricing in the insurance and reinsurance markets; 5) statutory or regulatory developments including tax policy, reinsurance and other regulatory matters; 6) our ability to implement our business strategy; 7) adequacy of our loss reserves; 8) continued availability of capital and financing; 9) retention of key personnel; 10) competition; 11) potential loss of business from one or more major insurance or reinsurance brokers; 12) our ability to implement, successfully and on a timely basis, complex infrastructure, distribution capabilities, systems, procedures and internal controls, and to develop accurate actuarial data to support the business and regulatory and reporting requirements; 13) general economic and market conditions (including inflation, volatility in the credit and capital markets, interest rates and foreign currency exchange rates); 14) the integration of businesses we may acquire or new business ventures we may start; 15) the effect on our investment portfolios of changing financial market conditions including inflation, interest rates, liquidity and other factors; 16) acts of terrorism or outbreak of war; and 17) availability of reinsurance and retrocessional coverage, as well as management's response to any of the aforementioned factors.